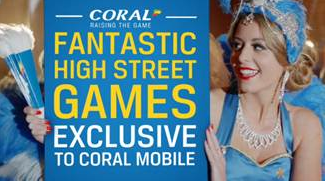 UK bookmaker Coral unveils its new TV advert promoting the firm’s latest high street games that are exclusive to Coral mobile. 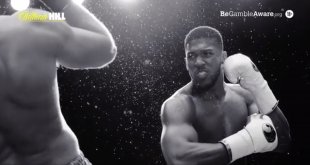 The 20 second advert, produced by Big Al’s Creative Emporium and set during a boy’s night in, highlights the excitement of enjoying high-street games on tablets and mobile and features some of the firm’s newest exclusive gaming content, including Crown Gems, 7s to Burn and Action Bank. Model Carly Baker features in her third TV ad for the bookmaker. 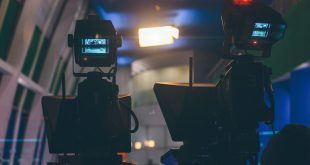 The advert will appear from today on BT Sport, Sky and a range of other channels including ITV2, E4, Comedy Central and Fox and will be supported with press, CRM, social and a POS campaign. 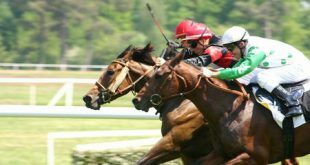 It follows on from Coral’s ‘win, win’ advert which launched earlier this month, focusing on Coral Connect, the company’s industry-leading single wallet card.